When I started playing more regularly in the Manchester United first team in 1991-1992 it took a few seasons for it to dawn on me that, like all teenagers who break through early, I had missed something earlier in my development that I had to go back to a few years later. I was 17 at the start of that season, having already made my debut the previous March and by the end of that last Football League campaign I had played in 38 league games. It was 41 games the following year when we won the Premier League and from then on you might think that I never looked back – but that was not the case. There is one problem with being an early developer in football and that is you miss out on some of the basics that are standard for young players who progress more slowly from youth team sides, to the reserves – as it was in those days – and then gradually into the first team. We are all keen to see academy lads make it through the ranks now, and rightly so, but we also have to understand the problems they might face even once they make it. To put it simply you miss out on some of the basics that complete your education as a young player. First team training is all geared towards the next game, and they come thick and fast. You are into a flow of playing and then recovery and then preparation. What you miss out on is honing those basics that you do in training with your peer group: crossing, finishing, adapting to different positions and what might be asked of you. Rashford still has many good years ahead of him. CREDIT: REX. I hope Marcus Rashford isn't going to suffer from that now. He is an excellent young player who fully deserved his breakthrough for United in February in that Europa League tie against Midtjylland last season. As things stand he has not scored since the Leicester City game on Sept 24 and, like any goalscorer that will be playing on his mind. But lean periods like this are common for many young players. I was no different. My form hit the skids in the 1994-1995 season when United lost out to Blackburn Rovers for the title. I had suffered some injuries to my calf and hamstring and played fewer games that season than I had done in the previous three seasons. To address that, I went back to basics. I did extra work after training on the aspects of my game that I felt needed attention. In first team football you might get just two or three chances to cross the ball. Or one decent sight of goal. And you have to be ready. I was being played in different positions, as a more central striker, so with Brian Kidd I would practise the art of taking chances in the area when I only had one touch, or it was on my weaker foot, and I had to be clinical. It was not something that stopped with Kiddo. I did it in later years with Steve McClaren, and then Rene Meulensteen. It was often something simple: dribbling drills and finishing. You do not have to spend hours out there – even 10 minutes three times a week will get you back in the swing. It is just something that reminds you what is required and that is outside of the usual rhythms of first team football. Marcus will be a centre-forward one day and that is his strongest position but it is natural that at his age he is asked to fit in around more established players – it was no different for me. He will know that he needs to spend time adjusting his game to playing wide. That might mean asking one of his team-mates from the development squad to play as a defender against him after training while he tries to get crosses in, and also learning the defensive positions that he has to take up. For young lads in this position it is often something that you have to push for yourself. The day after a first team game is a rest for those who did play and a bit of physical work for those who did not. By the second day you are already looking forward to the next game, probably two days away, and you have a squad of players back in training who are at different levels in terms of their recovery or their capacity to train. By day three you could well be travelling again. 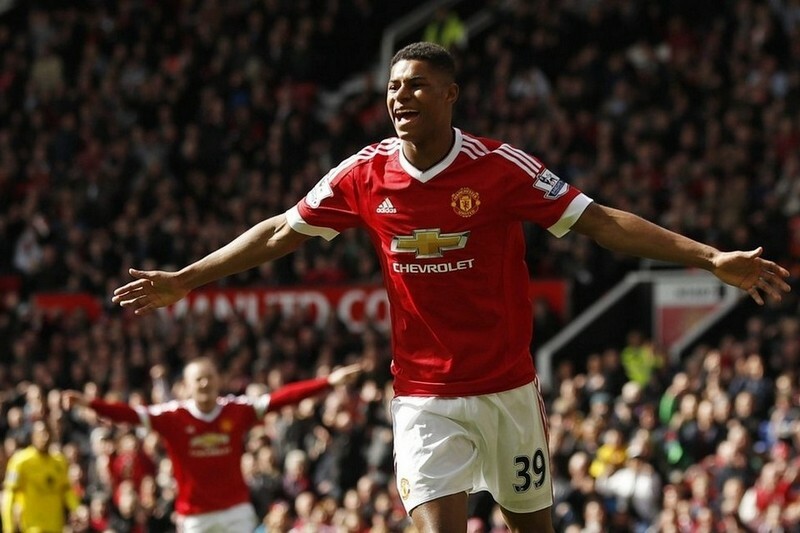 Ryan Giggs saw Rashford come through the ranks at Old Trafford. CREDIT: ACTION IMAGES. The important thing for a young player in that first team flow of training and games is that they do not overlook what is required for them. Marcus is a great talent and I can remember watching him play in an Under-21s against Manchester City at the Etihad Stadium shortly before the Midtjylland game in February. At half-time I had some hard words with the boys because I felt they were below par but Marcus had stood out even then. A couple of days later Louis van Gaal and I watched him in first team training and you could see in glimpses then – the way he took a player on, the little flashes of skill - that this was a boy who was ready to go. 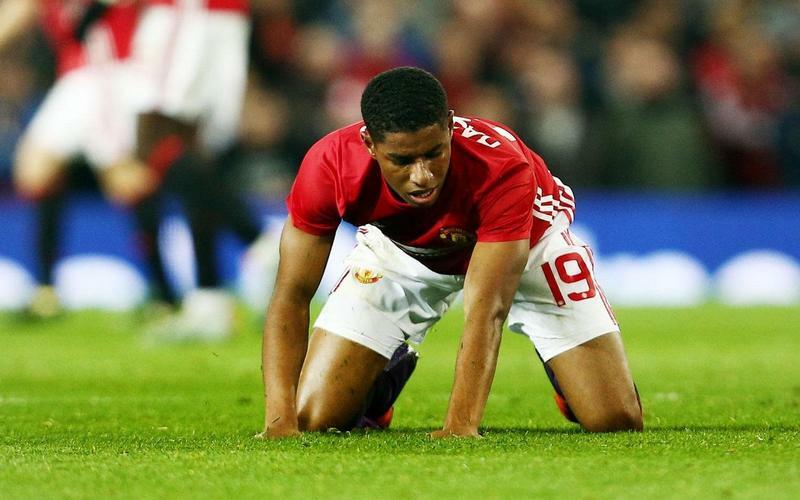 Of course, the night itself at Old Trafford he just took that chance himself but what he had done before meant there was no hesitation about putting him in the first team when Anthony Martial was injured. That was a great example of a young player seizing his opportunity and then breaking into the England squad for Euro 2016 too, but there is no harm 10 months later to going back to the basics and making sure you feel right. Like good all teenage players, Marcus has time on his side.